Expansion appliances increase the width of the jaws to broaden the smile and to prevent the extraction of permanent teeth. 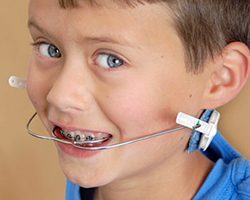 These orthodontic appliances work best before all of the permanent teeth erupt. These appliances expand the lower arch to broaden the smile and in many cases can prevent the extraction of permanent teeth. Two types of lower expansion appliances include a Lower Fixed Expander and a Lip Bumper. 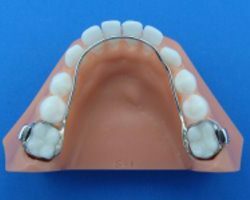 Some cases require a Nance to hold the upper arch and upper molars in place and some need a lingual arch to hold the lower molars and lower arch width. Two types of holding appliances include an Upper Nance Appliance and a Lower Lingual Arch. Some patients need appliances to help them break harmful habits. Two types of habit appliances include a Thumb/Finger Appliance and a Tongue Thrusting Appliance. 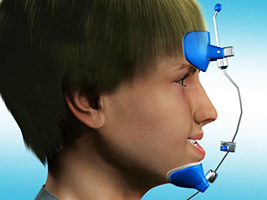 A Thumb/Finger appliance is used to help children break the thumb sucking habit which causes improper growth of the mouth and misalignment of the teeth. 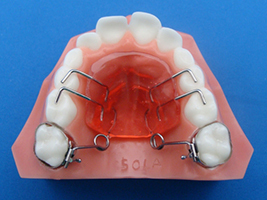 A fixed palatal crib is typically placed on the child’s upper teeth and rests on the roof of the mouth. A Tongue Thrusting appliance is used to stop the tongue thrusting action. Tongue thrusting occurs when the patient presses his or her tongue against the front teeth, usually when swallowing, speaking or resting the tongue. If thrusting is constant, this can cause problems with teeth alignment and must be fixed. 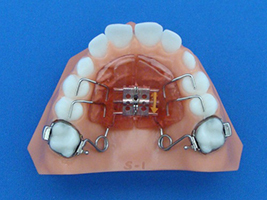 This orthodontic appliance, similar to a mouth guard, is usually worn at night. 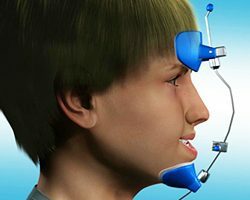 According to a survey of orthodontic laboratories, the Herbst appliance has become the most popular appliance for correcting protrusions. 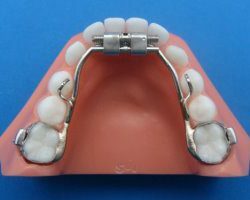 This is due to orthodontists’ desire to find a technique that requires a minimum amount of patient cooperation. 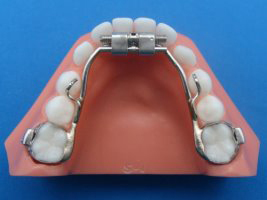 The correction of the protrusion afforded by the Herbst appliance occurs through a combination of skeletal and dental changes brought about by forward positioning of the lower jaw. At Rogers & Andrews Orthodontics, we have used growth appliances for over twenty years. The first types were removable, and they produced excellent results when the patients wore the appliances. However, many were worn only part-time or were lost because they were removable. The Herbst has given our office an easier and a faster way to correct protrusions. Dr. Rogers has trained hundreds of orthodontists in this technique through lectures and video. The results that we can achieve are remarkable. Headgear is often used to correct an excessive overbite. It is utilized to make space in the upper arch or to let the lower jaw catch up with growth when there is protrusion of the upper teeth. The severity of the problem determines the length of time headgear needs to be worn. The key to success with your headgear appliance is consistency. Headgear must be worn for a certain number of hours per day, and if not, it must be made up the following day. 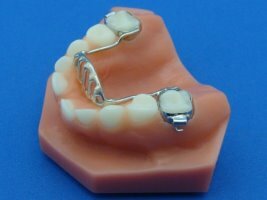 This orthodontic appliance moves the molars back to create space for other teeth and/or to correct a protrusion of the upper teeth. 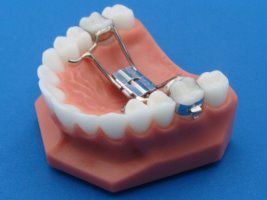 This usually prevents the extraction of permanent teeth. 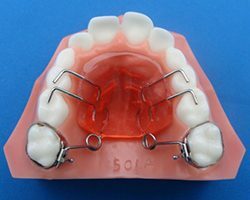 After the molars are moved back, they will be held by another appliance (a Nance) while the side teeth and front teeth are moved back into the space. Food will get caught around the appliance so all patients are encouraged to use a Water Pic. All patients must use fluoride, and we ask that sweets and soft drinks be eliminated because of the hard-to-clean areas. Your expander must be turned with a “key”. 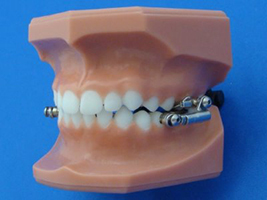 How often you turn the expander will depend on the instructions you receive from Dr. Rogers and Dr. Andrews. Follow them carefully. Your expander is turned by placing the “key” into the keyhole in the center screw and gently pushing the key towards the back of the mouth. You will notice a new hole appear in the front when the expander is turned all the way to the back. 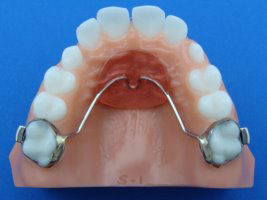 A noticeable effect of the divider is that the front teeth begin to separate. This is a sign that the expander is working properly. The space will begin to close naturally when turning has stopped, but the bone segments will stay in place. 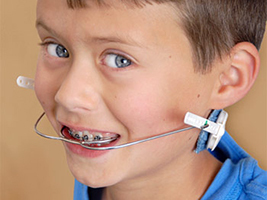 Food will get caught around the expander so all patients are encouraged to use a WaterPik or similar device. All patients must use fluoride, and we ask that sweets and soft drinks be eliminated because of the hard to clean area. After the expansion screw has been turned the proper amount, the patient will continue to wear the expander for several months. This allows the mouth to stabilize and ensures that the widening will not relapse. 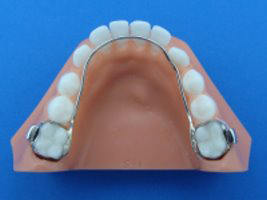 Never turn your expander more than two times per day. 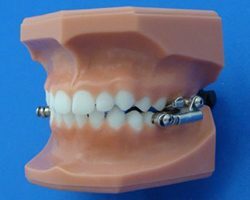 Sometimes turning the key of your expander causes slight pain near the bridge of the nose and out toward the cheekbones. It will be difficult to talk and swallow at first, but after approximately 10 days, you will become accustomed to your expander. Hang in there!